Faststream Technologies works at the juncture of business and technology, assisting clients with advancing their product and business performance through sustainable information technology solutions. Faststream Technologies drives innovation to help clients advance their product design, business processes, and application development. Our engineering team’s deep expertise in transforming design specs into marketable hardware products — through ASIC design services that include RTL design, design verification and physical design for digital and analog/mixed-signal semiconductors — is a key differentiator to our suite of application development capabilities. For today’s challenges like embedded processor SoC specifications, Faststream Technologies delivers all of the required firmware/embedded software, positioning us as the turnkey ‘concept-to-product’ design company. The team is led by a group of focused senior executives and Technologists who complement each other with significant industry experience in building turnkey solutions. Many of our technologists have multiple patents to their credit in the areas of Analog/Mixed-Signal Design, IoT and embedded systems. IoT, SoC Design Services, Analog/Mixed Signal Design, Cloud Computing, Mobility Services, Digital Transformation, Business Intelligence, Testing Services, IT Security Services, Product Engineering Services, and Big Data. Faststream Technologies builds relationships with clients that are direct and productive. Through our open-reporting capabilities, we promote a collegial atmosphere where full-360° conversation and feedback happens through a product’s development life cycle or an application-development engagement. Faststream Technologies meets customer requirements with resolution and dedication. Faststream does not rest until an issue is resolved — in the fullest possible way, regardless of the challenges and dialogue that it requires. Faststream Technologies provides forward-looking views on emerging technology themes to address clients’ needs before they become issues. Faststream utilizes established quality management processes to navigate the perils of often-changing customer requirements to supply our clients with upfront, expert advice. Vinay Bansal, as Chief Executive Officer, sets the strategic direction to faststream that lie at the intersection of business sustainability, business strategy and organizational theory which drives by keeping the customer at the core of everything. Vinay’s leadership development, marketing, and knowledge management initiatives have differentiated the company from competitors. Vinay has worked extensively in the field of IoT, Semiconductor, FPGA, Analog Design, Cloud, Big Data & Embedded Development. Under his leadership, Faststream has delivered many ambitious projects that include Smart Parking, ThingSpace Manage self-service portal, and modular IoT gateway. He is extremely strategic in his approach, exhibits great thought leadership and uniquely positive in his interactions. With his Design Thinking approach, he looks at Innovation from an entirely different panorama. Vinay has rich experience in Strategic & Innovation Consulting in Internet of Things, Industrial IoT and the corresponding social aspects of it. He is able to think through things from a large scale to the minutest details of entire realm with his system & solution based design methodology. His experience, coupled with his passion and commitment to business and future proof thinking, is a rare combination. Vinay holds a bachelor’s in Electronics and Telecommunications degree from MITS, Gwalior, India. Kanchan Debnath has 20 years of experience in embedded system design, development and program management for consumer electronic products - Digital TV, DVB and IPTV STB. Kanchan has successfully designed, developed and delivered multiple product for global and Indian market. 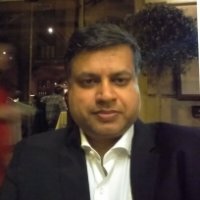 He has expertise in end to end product development, delivery management and vendor management. He has worked in various leadership roles at companies such as Samsung where he designed, developed and delivered multiple product for Indian and Global Market. Kanchan holds a Master’s in Embedded System Design, Electrical and Electronics Engineering from Manipal Institute of Technology and a Bachelor’s in Instrumentation and Control Engineering from National Institute of Technology, Jalandhar, India. Tamer El Sawah has 22 years of experience working extensively with Signal Processing & Control Systems, Microprocessors, MicroControllers, SoCs, A/Ds, DMAs, Programming Logic, Project Management, Requirement Analysis and handling an entire business ecosystem. Tamer has contributed exceptional insights into high-end development of Embedded Design, and other complex hardware products which power one of the most cutting edge IoT projects and Embedded Systems across the globe. He has initiated and led 28nm SoC projects, assigned roles and responsibilities, and designed relevant workflows. Tamer has directed a simplified design process for a capacitive proximity sensor system to provide sensor flexibility by integrating all of the front-end analog circuitry into a single AFE device. He has helped strategize the embedding process of multiple components in a single chip including SerDes, on-chip memory for GPON ONU, and microprocessors for intelligent control and management, and also incorporating multi-layer protocol functionality and packet processing into a single chipset. Tamer has guided a team project in developing a custom low noise-power AFE for detecting neural firings on the surface of the skin, sampling that information and routing it to a DSP core. He has integrated solutions with common optical functional blocks, such as Transceiver, EDFA, ROADM. Tamer holds a Master’s degree in Electrical Engineering from California State Polytechnic University-Pomona, California, USA. 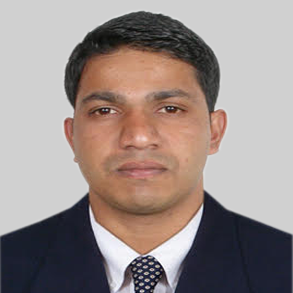 Rony George is the Director Business Development. Rony has vast experience in business communication, product sale, research and design market. He is a passionate technology enthusiast with keen interest in emerging technologies in the digital services space. He has strong vision to build and execute high impact marketing campaigns at extremely low cost. Rony holds a degree in MBA, Marketing.